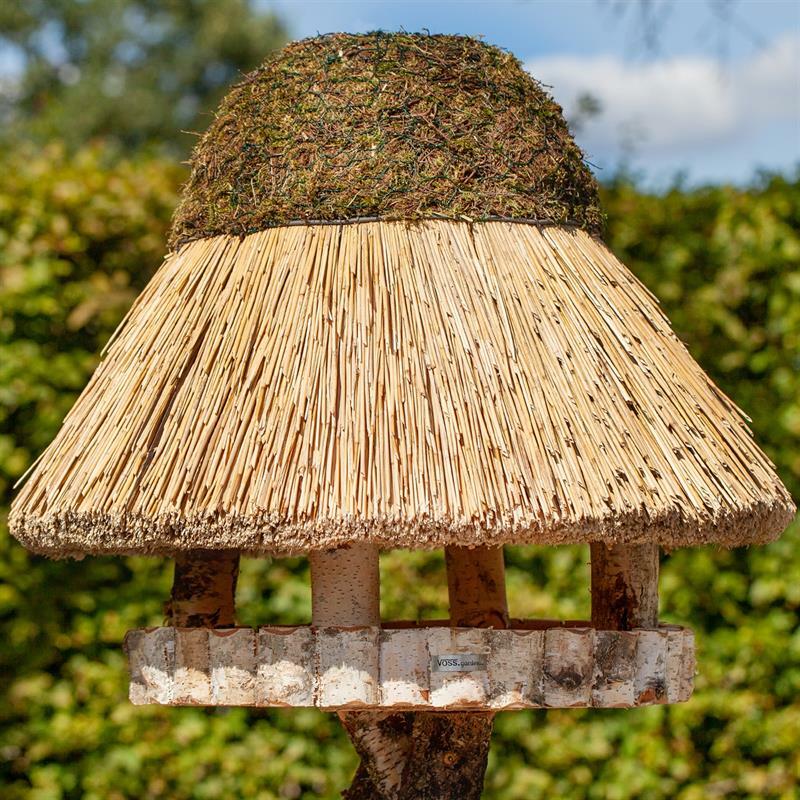 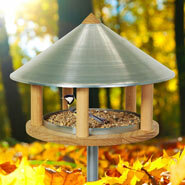 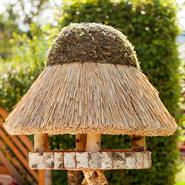 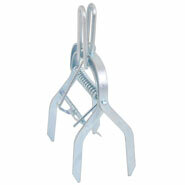 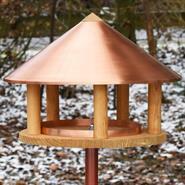 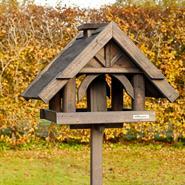 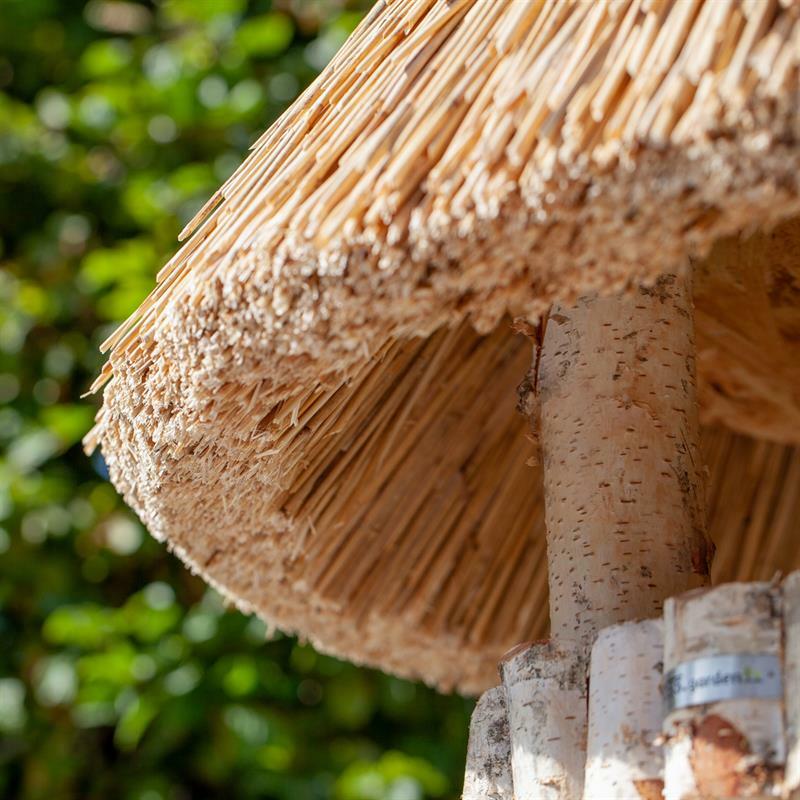 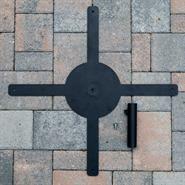 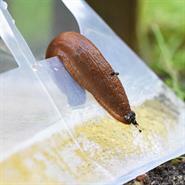 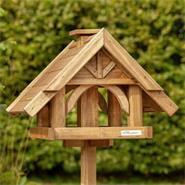 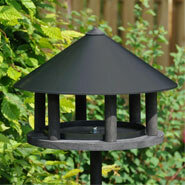 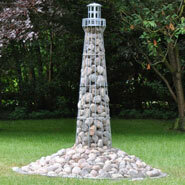 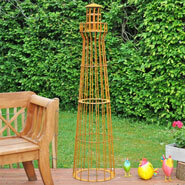 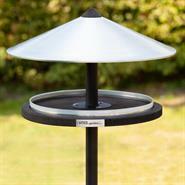 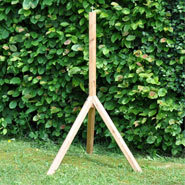 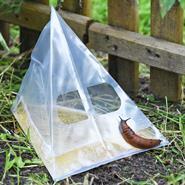 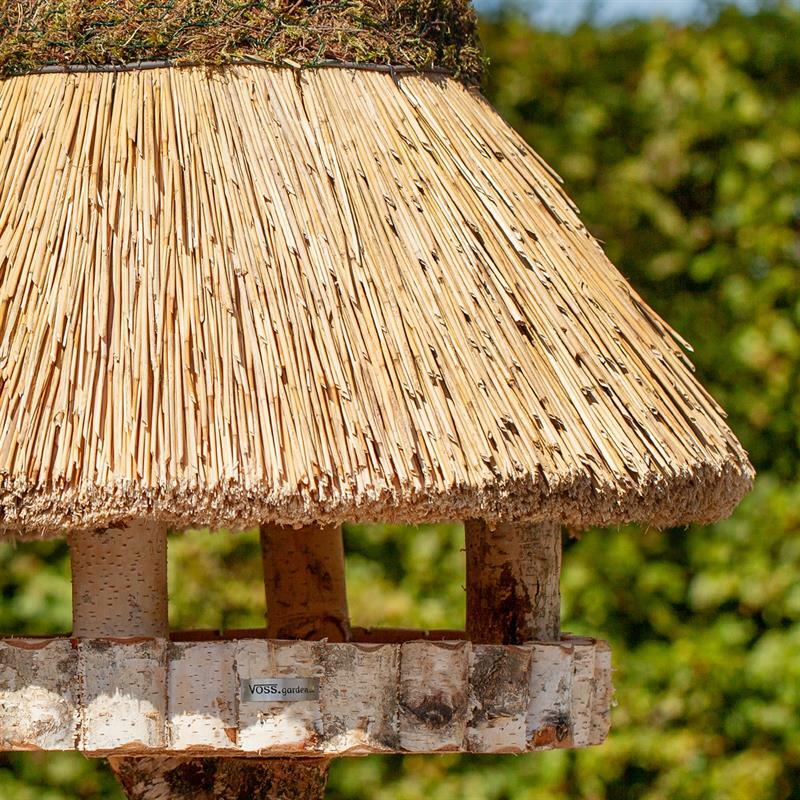 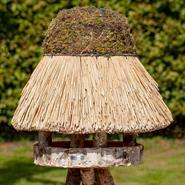 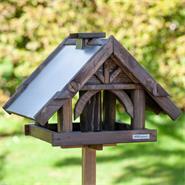 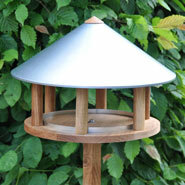 Our handmade bird feeder fits perfectly into any garden thanks to its natural look. 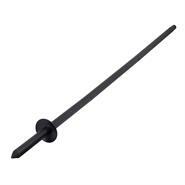 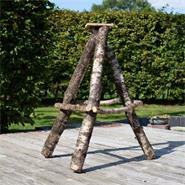 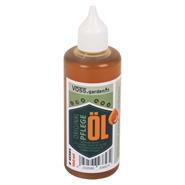 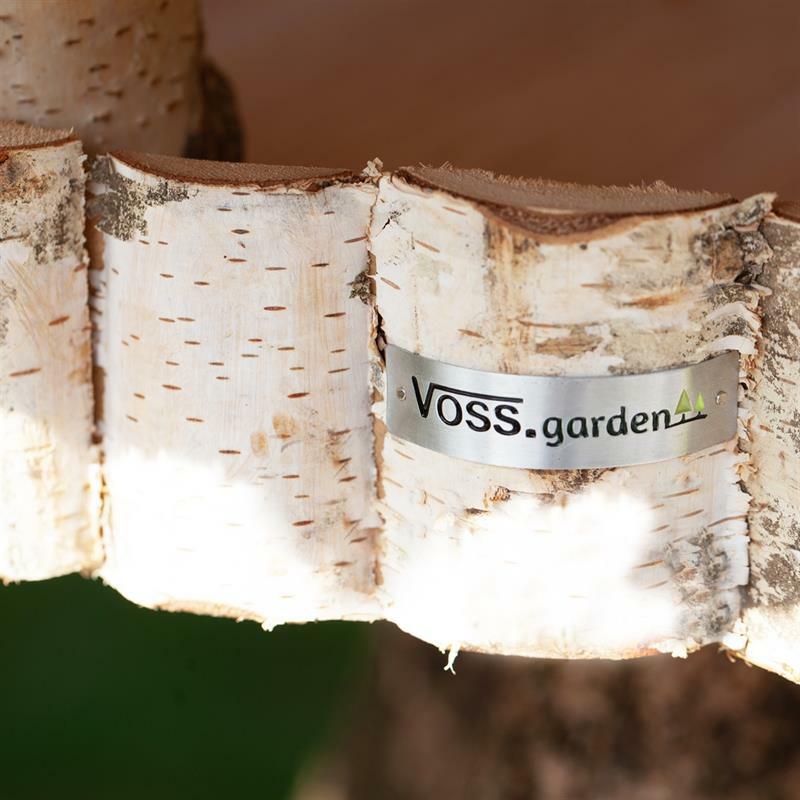 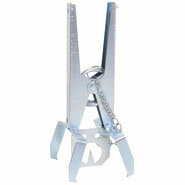 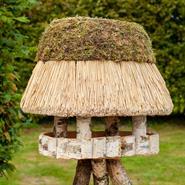 Made from birch, it is immediately accepted by all birds as a feeding place. 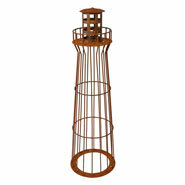 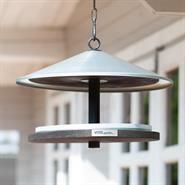 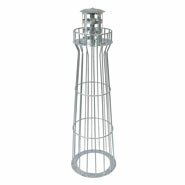 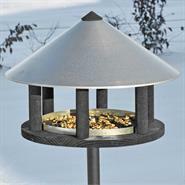 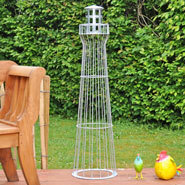 It is not only have a beautiful eye-catcher for your garden, terrace or balcony, but also safe place since birds can feed protected from wind and bad weather. 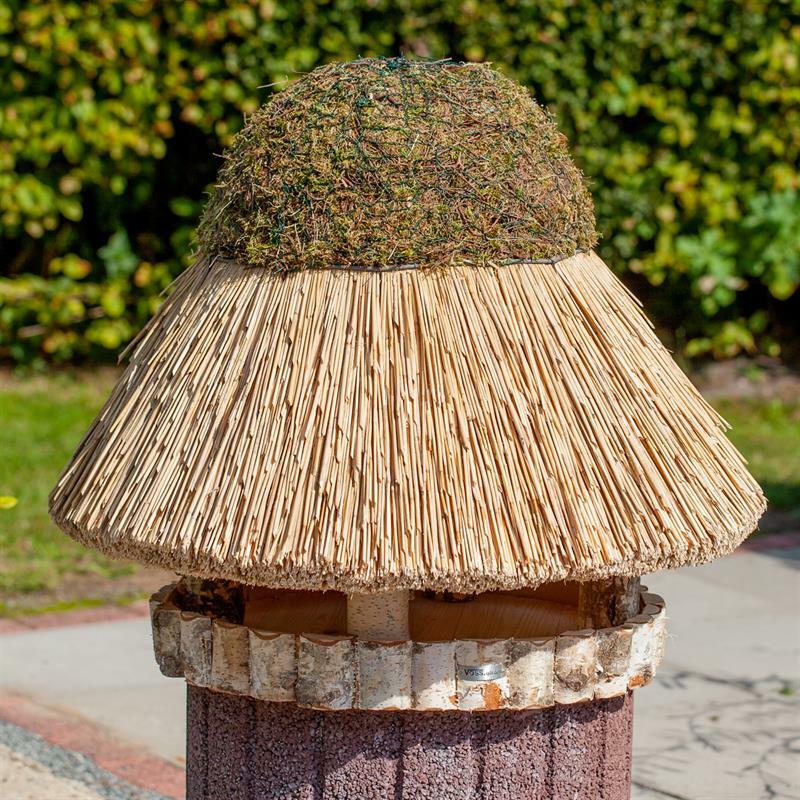 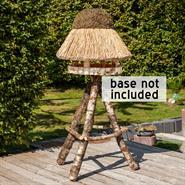 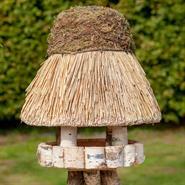 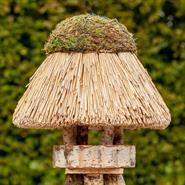 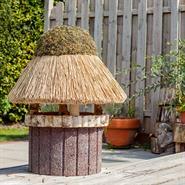 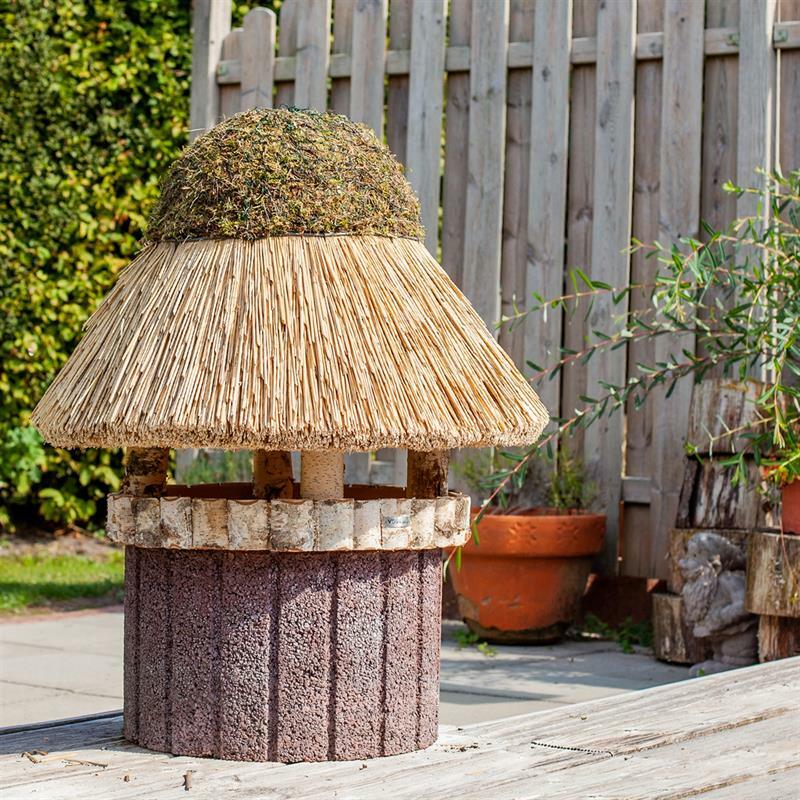 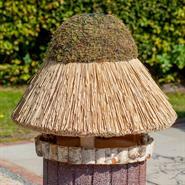 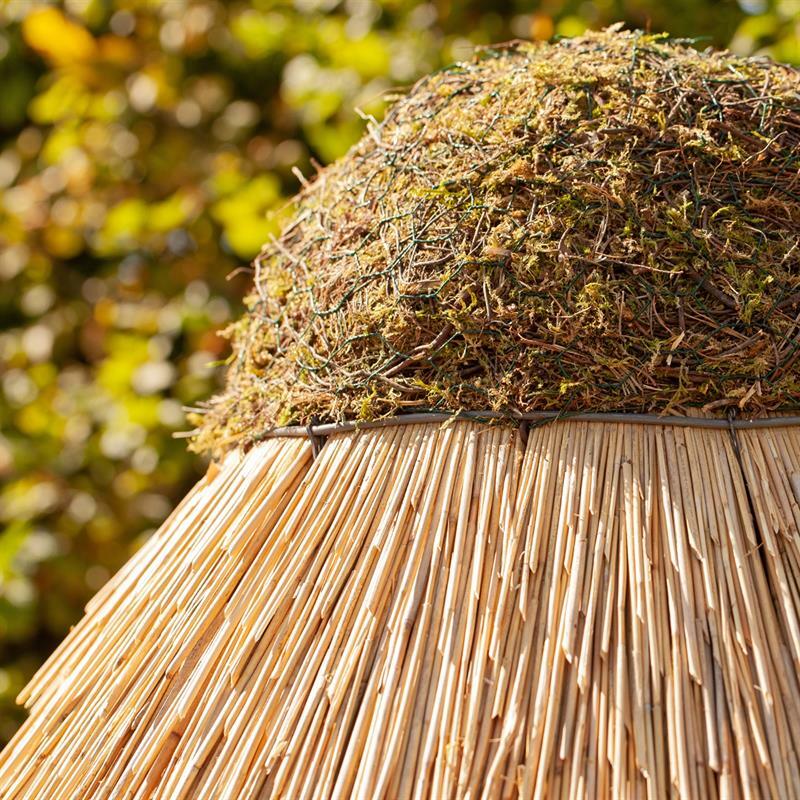 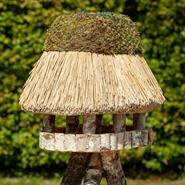 The large, round birdhouse "Föhr" has a beautiful thatched roof made from reed. 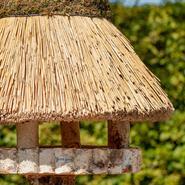 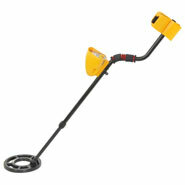 A small edge around the forage area protects the food from moisture and keeps it inside the house. 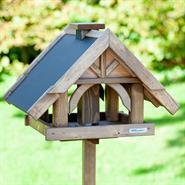 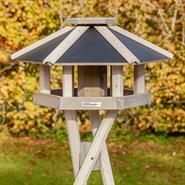 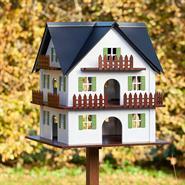 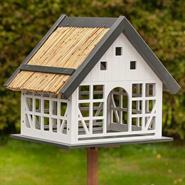 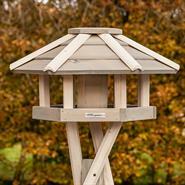 The solid, handcrafted birdhouse withstands the most adverse weather conditions and you will enjoy it for many years. 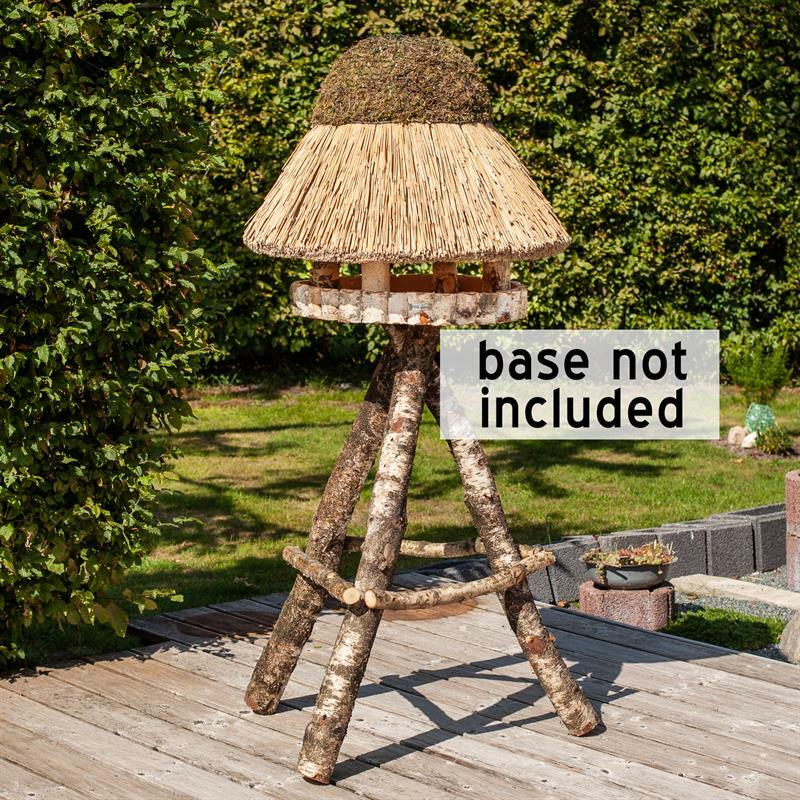 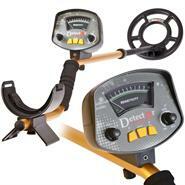 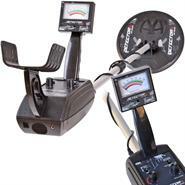 Stand not included! 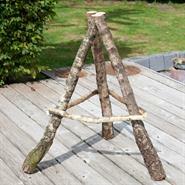 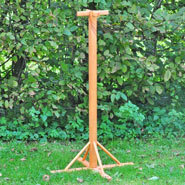 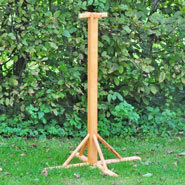 The matching stand in natural birch, Art: 930351 can be found on our website.